Check out the ICC! Take a tour to learn about the services we provide to get you career ready, including resume and cover letter review, Student Employment, information on getting an internship, ICC Internship and Career Fairs and much more. 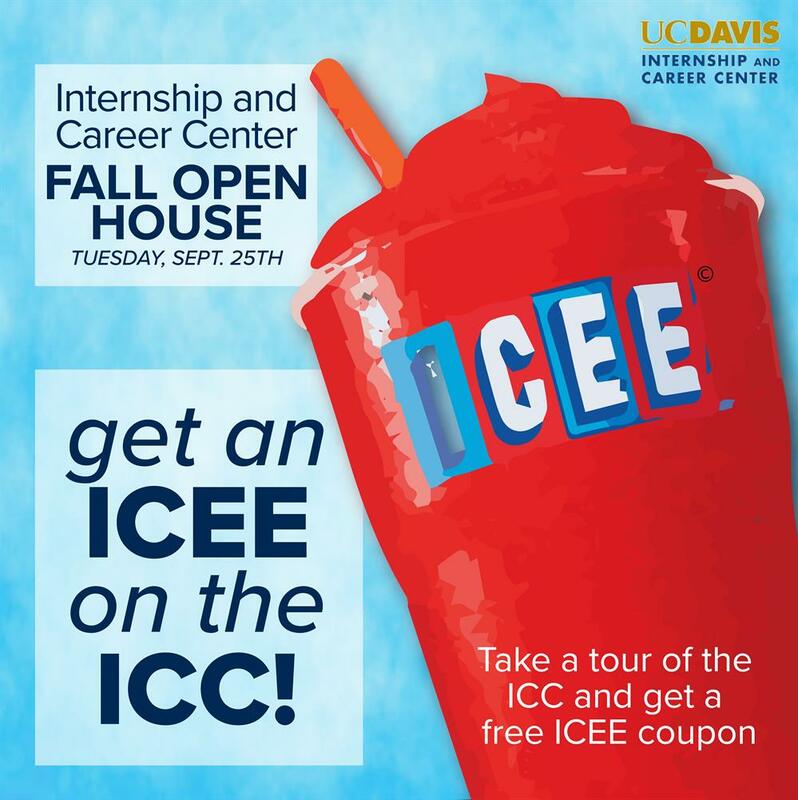 Meet the staff, enjoy giveaways and prizes, and get an ICEE on the ICC! (coupon for one free ICEE from the CoHo available to the first 250 visitors).